Which air operated Maintenance Duty Impactool™ should I choose for my application? Impacts used for general maintenance, tire changing and bolt-changing operations in Automotive Service Centers, Fleet Maintenance Centers, and for MRO (Maintenance, Repair & Operations) applications. Impactools are typically selected on the basis of Drive Size, Bolt Size, and/or Required Torque. What is the Size of the Bolt to be fastened? How much Torque is required in Ft-Lbs/Nm for the application? What Drive Size is needed for the Impactool and Sockets? What is the Frequency of Use for the Impactool (e.g. continous, intermittent, or occasional)? What are the Ergonomic needs of the tool operator for the application (e.g. tool weight, handle type, easy and comfortable accessibility to the work piece)? Tip: Impactools can use a lot of air, especially as they increase in tool/drive size; a proper air supply (air pressure and scfm air flow) will help provide maximum performance. 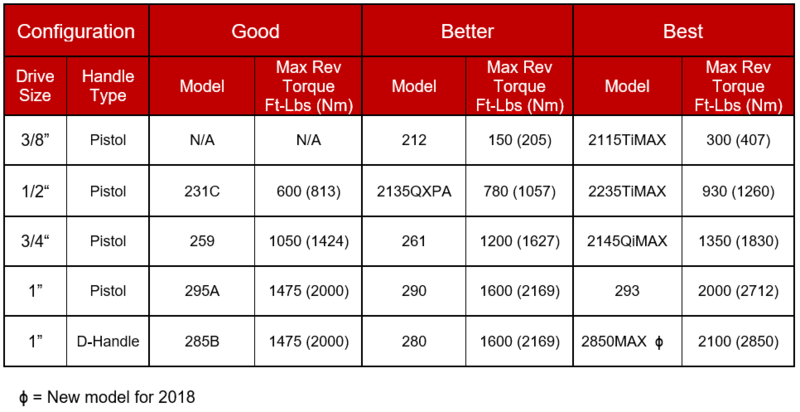 Most popular models are listed below, however additional models are available for consideration. 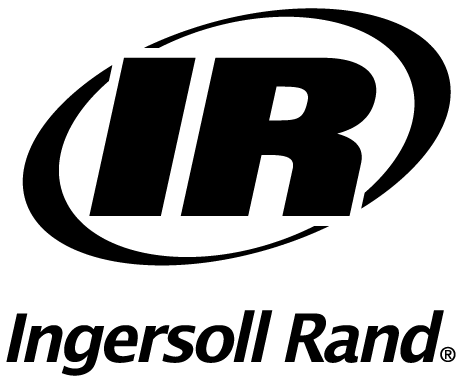 If additional assistance is needed in the selection process, please contact Ingersoll Rand's Power Tool Technical Support Team at IRTechSupport@irco.com or, Submit a Request via our Help Center.